Any instructional on “how to make ball-jointed dolls” would include this Body Blushing Instructional from our former blogger. Enjoy! – Ed. I love the realistic look of BJDs. 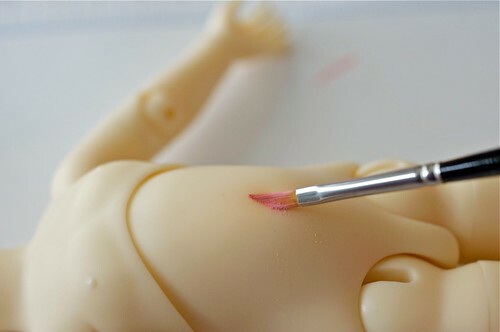 Adding a body blush enhances a doll’s body sculpt and is an easy way to customize your doll and make her your own. The technique is straightforward: add several shades of pastels to the valleys of the body and blend. A resin sealer. I prefer Mr. Superclear for larger dolls. You can also use Testor’s DullCote, but this attracts dirt pretty easily, and I prefer this for smaller surfaces (face-ups and smaller dolls). Chalk pastels. Most will work, but I don’t recommend square scrapbooking chalks. These are flaky and don’t blend well. Several brushes. 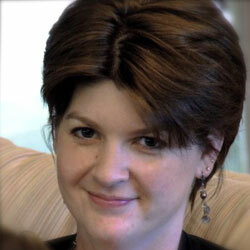 I use a large round brush (size 6) and a small angled brush (size 1/8). Get instruction like this in your mailbox (on real paper!) Subscribe Today. Prime the doll before you begin. 1. Prime the doll by spraying her with sealer. This will make her a little tacky so the pastels will stick. Let dry, and repeat on the other side. Make sure you have plenty of ventilation, following the directions on the can. I walk around the doll, using a light coat to prevent flagging (or drips). 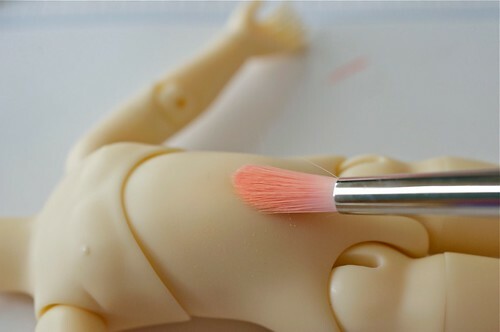 Choose the palette based on your doll’s face-up. 2. Choose the palette based on the doll’s face-up. 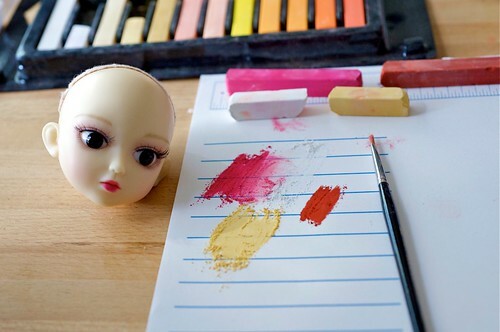 I use three or four colors, including white (for blending), a color just a shade darker than the doll’s skin tone, one close to the doll’s cheek color, and one that is similar to her lip or eyeshadow color. I make a palette on scrap paper. Apply the lightest shade first with the angled brush. 3. To apply, begin with the color closest to her skin tone. I start at the torso. Remember, you’re only applying color to the dips (valleys) in her body. Using the angled brush, apply a bit of the color to her belly button, and blend with the large round brush. Blend with the large round brush. 4. Repeat with the next darkest shade, working in layers, blending each layer as you go. You don’t have to use the darkest shade in every area. If you add too much, just swipe the Magic Eraser over the doll to remove chalk from the raised areas. Repeat with the next darkest shade. 5. As you can see from my finished photos, I apply blush to joints also, but the effect is very subtle. You’ll want to spray the doll with resin spray when finished, making sure to spray in the joints. Use a light coat and dry thoroughly before spraying the other side. 6. 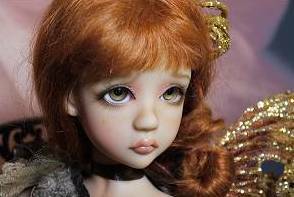 If your doll has dramatic face paint, you might prefer more dramatic blushing. You can get that effect by adding more color. 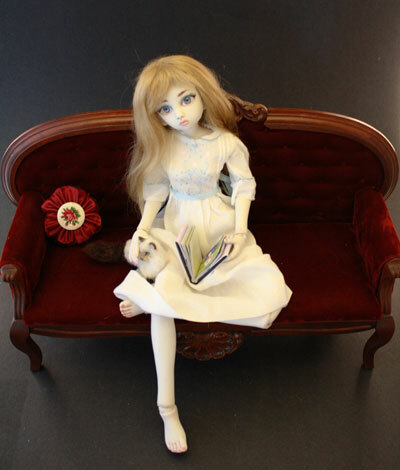 You can see samples of other dolls I’ve blushed in my Flickr photostream. Join our e-mail list to receive the latest trends and advice in ball-jointed dolls and receive special offers and e-mails from our marketing partners. You can unsubscribe at any time. 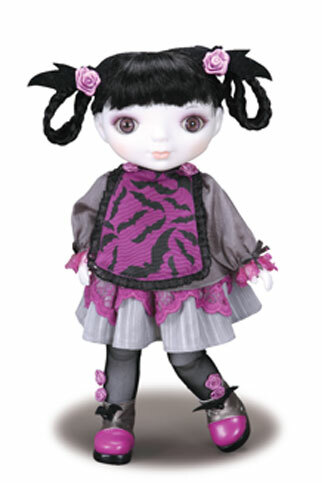 See more instructionals on “how to make ball-jointed dolls” in our Ball Jointed Dolls category.